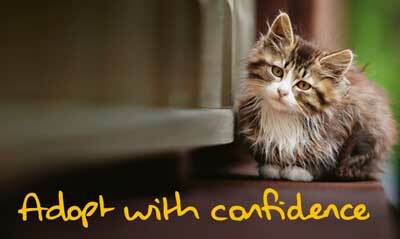 From kittens to more mature felines, we hope that we can help you find that very special companion for you to adopt. The selection of cats in our care is constantly changing so please do call us even if you don't spot your purrfect companion in the list below. Please contact our Homing Officer on 01726 817837. All our cats and kittens will go to their new home having been health-checked, blood-tested, neutered, vaccinated, microchipped and flea- and worm-treated. If a kitten is not old enough to have been neutered when it goes to its new home, the new owner will receive a voucher to have the kitten neutered free of charge. For all of this our adoption fee is only £50.